Objective With the growing attention paid to public safety and security, video surveillance systems become increasingly important. Pedestrian detection is the first step in video surveillance systems when analyzing behaviors of pedestrians, so it plays a critical role in computer vision research area. Although pedestrian detection has realized several achievements in recent years, speed and accuracy continue to show rooms for improvement. On the one hand, pedestrian detection is time consuming as it requires extensive calculation and high dimension of features. 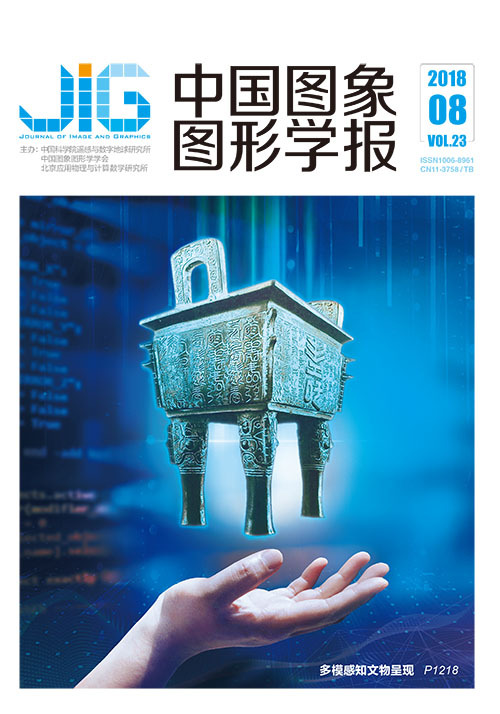 On the other hand, the detection results are easily influenced by different environmental factors, such as the changes of illumination and background, different postures of pedestrians, and occlusion among pedestrians. As detection results depend on the performances of the feature set and classifier, the features should be adequately representative to distinguish a pedestrian from other objects and background. This study proposes an algorithm for pedestrian detection based on improved feature and graphic processing unit (GPU) acceleration to reduce detection time and improve detection rate. Method First, Canny operator is used to process the original images and obtain images with enhanced edge information. Second, the images are processed in three scales to reduce the interference of background and deformation effect of unified standardized. Third, the images are divided into six regions to address the occlusion problem among pedestrians. These regions are head, left arm, upper body, right arm, left leg, and right leg, which are divided according to the characteristics of pedestrian action. Thereafter, the scale invariant local ternary pattern (SILTP) feature is used instead of the local binary pattern (LBP) feature to improve the pixel of low resolution and varied illuminations of images. The SILTP feature in parallel is extracted as the texture feature in GPU space to reduce the time of calculation. At the same time, the gradient and amplitude information of the six regions is calculated in the GPU space, and the value of the gradient is weighed with the value of the distribution characteristics. 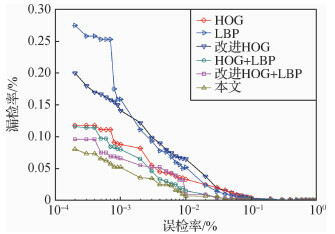 Therefore, the improved histogram of oriented gradient (HOG) features with 180 dimensions are obtained. The dimensions are much lower compared with traditional HOG feature and the calculation time is reduced. Finally, the features extracted in the three scales is concatenated, including HOG and SILTP feature. All features are outputted to central processing unit (CPU) space from GPU space, achieving pedestrian detection by the linear support vector machine (SVM) classifier. 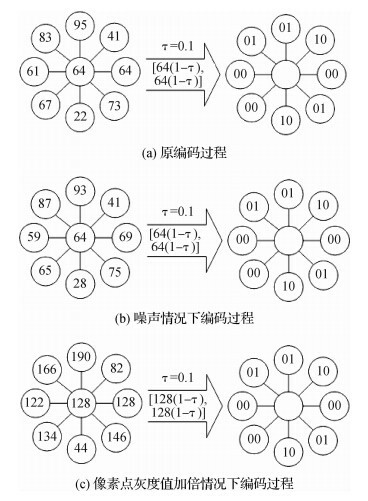 Result The proposed algorithm is demonstrated on two datasets, namely, INRIA and NICTA. The INRIA dataset is presently the most widely used static pedestrian dataset. The backgrounds, pedestrians' postures, and occlusions among pedestrians in this dataset are complex. By contrast, the NICTA dataset contains a large number of pedestrian images in different sizes. Therefore, the detection results of INRIA and NICTA datasets are representative. The INRIA dataset contains 2 416 positive training and 1 218 negative training samples and 1 126 positive detecting and 453 negative detecting samples. The NICTA dataset contains 142 598 positive training and 90 605 negative training samples and 34 416 positive detecting and 42800 negative detecting samples. The proposed method achieves a detection rate of 99.80% and 99.91% on INRIA dataset and NICTA dataset, respectively. On the INRIA dataset, the acceleration ratio is 12.19 compared with the algorithm based on traditional HOG and LBP, and the acceleration ratio of feature extraction is more than 8.19. On the NICTA dataset, the acceleration ratio is 13.49 compared with the algorithm based on traditional HOG and LBP. Therefore, the proposed algorithm based on improved feature and GPU acceleration enhances the detection rate and reduces the detection time. Conclusion Experiment results show that the proposed algorithm based on improved feature and GPU acceleration perform better than other algorithms in terms of accuracy and speed. The improved feature exhibits strong robustness to the changes of illumination and environment and performs well despite the occlusion among pedestrians. Apart from its lower dimension which improves the speed of pedestrian detection, the algorithm provides accurate information on pedestrians. The proposed algorithm is suitable for most situations involving pedestrian detection, especially for images or videos in an environment with different illuminations and occlusions. Its speed also performs well, especially with large amount of calculation and high repeatability. The proposed algorithm based on improved feature and GPU acceleration can achieve effective and fast pedestrian detection and has practical value.